St Collen’s life story seems much more interesting than his well. Collen flourished in the 7th century. One account is given here in David Nash Ford’s Early British Kingdoms. Born in southern England he went to be educated in France and trained in Orleans before moving back to England, where he became abbot of Glastonbury. Disillusioned with life in the monastery he withdrew to a hermit’s cell but visions, nightmares and demons followed him, and after praying to the Lord for guidance he moved northwards and settled near Llangollen, which is named after him. Even this part of Wales wasn’t safe. 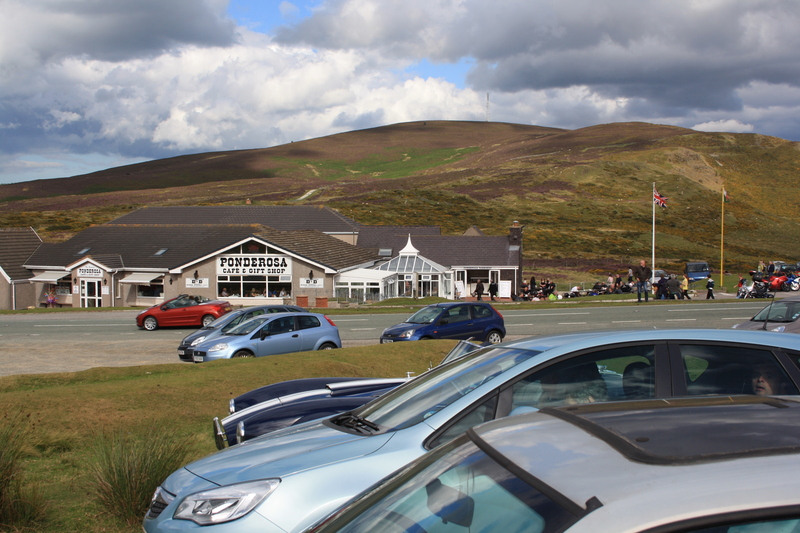 A flesh eating giantess, Cares y Bwlch, roamed the hills around the Horseshoe Pass. Collen set forth to deal with her, and eventually killed her. He washed his bloody sword in a nearby spring, and this became known as St Collen’s Well. Despite its dramatic beginnings it has become most noteworthy for its ability to cure warts. Collen lived out his life in Llangollen, and was believed to have been buried there, his remains being enclosed in a building called the Old Chapel which was apparently still visible in the 18th century. We took information on the location of the spring from a posting on the website The Megalithic Portal. 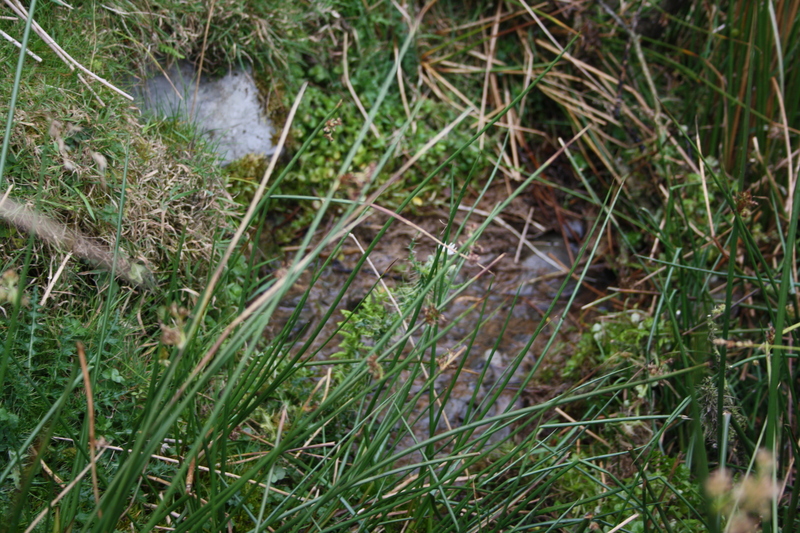 This led us to a water source that fits the traditional description of the well being on a hillside close to the Horseshoe Pass. I have seen no other corroborating evidence, however, to prove that this spring is St Collen’s Well, so at present we can’t be certain whether the site reported here is actually correct. 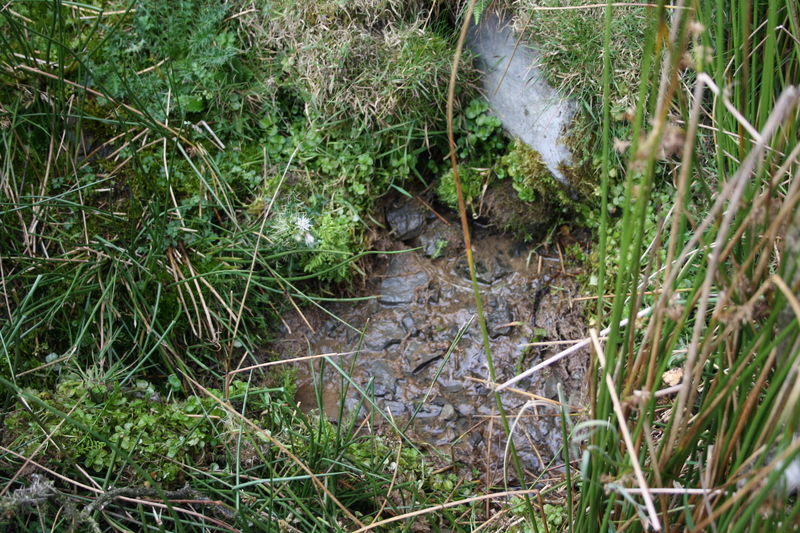 The spring bubbles out from underneath a rock very close to the long distance footpath, and flows as a stream alongside and even over the footpath as it goes downhill. The site is close to the Ponderosa Cafe, apparently a very popular meeting point for bikers, and probably as lively in the 21st century as it was in the 7th century when plagued with the giantess. Surprisingly, and disappointingly, neither the cafe nor the gift shop make any reference to their close proximity to the well and its connection with the local history of the area. Consequently , although there may have been 200 people or more there on the Sunday afternoon we visited, we were the only ones to walk down to the well. There is a road that starts in the cafe car park and runs down hill away from the cafe. Follow that road for about 100 yards and then branch off to the left where you can see a gate and a footpath sign. Follow the footpath for about another 100 yards or so and the well is on the left hand side. The small stream it creates is possibly easier to spot and follow to its source. St Collen’s feast day is celebrated on 21st May. Thanks for confirming that, when you only find one reference to a location then it’s hard to be sure. Obviously with stories like this nothing is certain, but as you say, this does seem the best candidate.